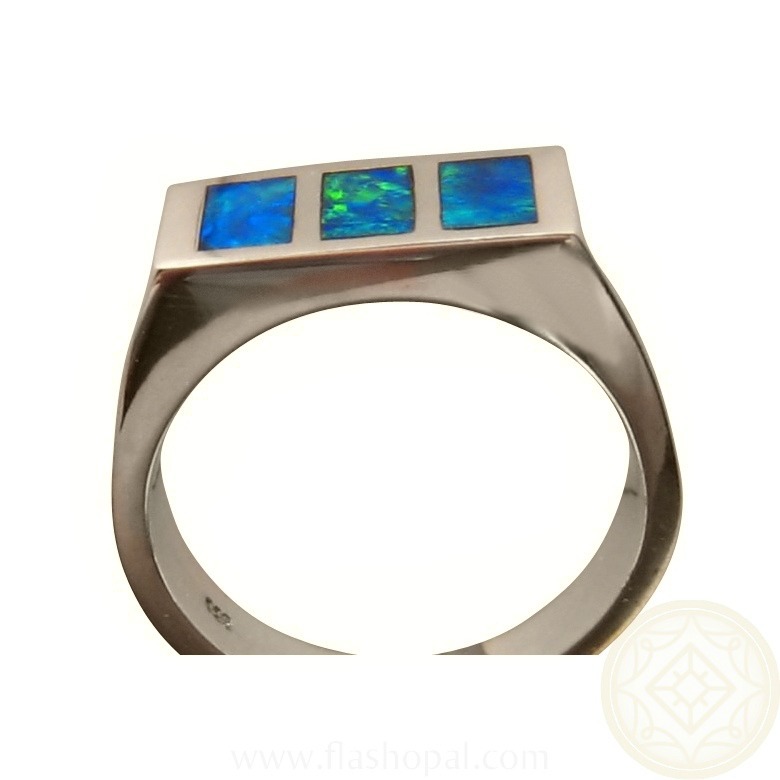 A masculine mens Opal ring in 925 Sterling Silver inlaid with three bright Australian Opals. 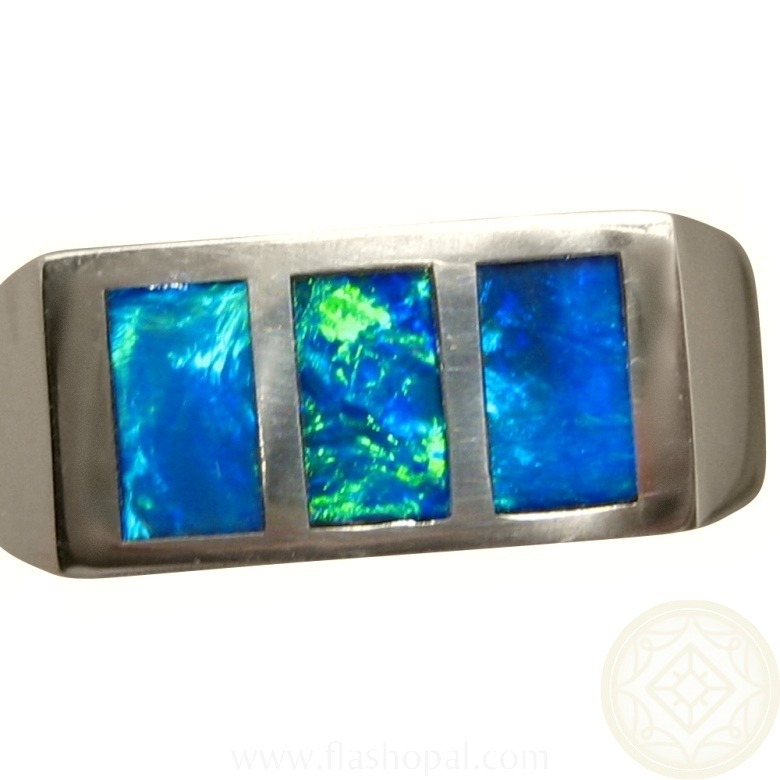 An Opal ring in 925 Sterling Silver that is a stylish and masculine design. 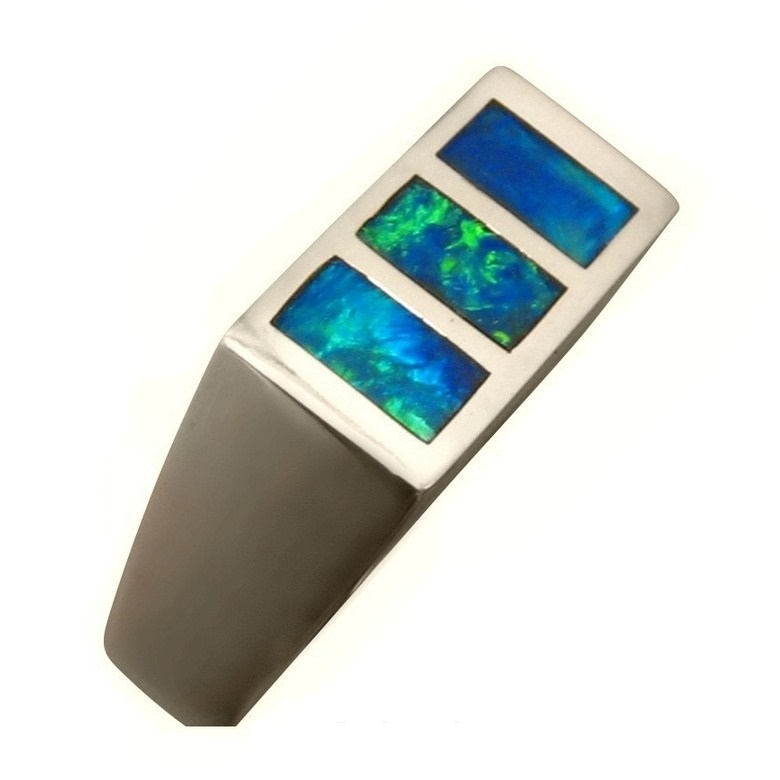 The Silver band weighs 10 grams, is 8.4 mm wide and is inlaid with three Lightning Ridge Opals that display beautiful shades of Blue and Green. Watch the video below to see the brightness and play of color in the Opals and the high shine on the Silver which the images just cannot portray. 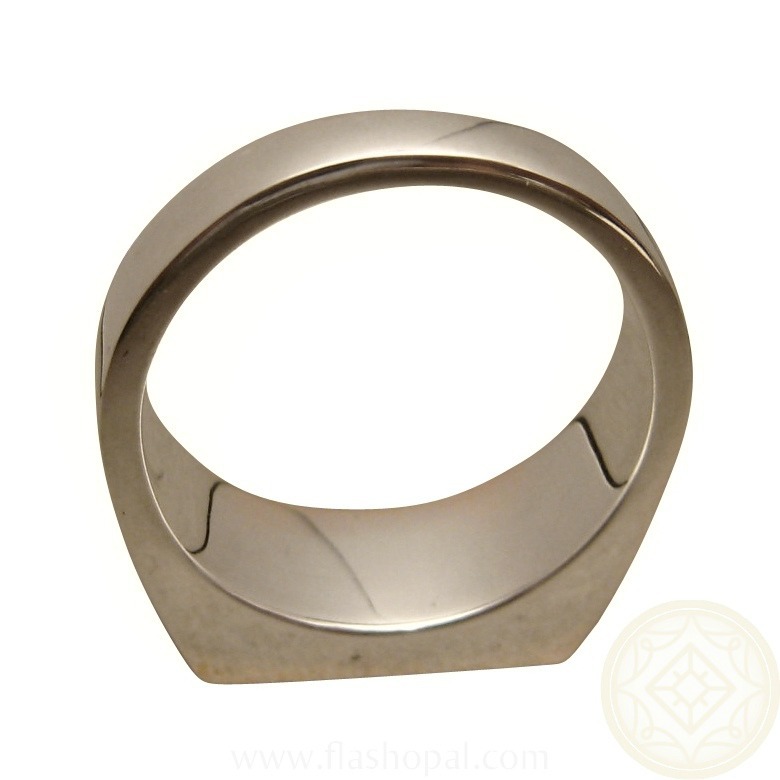 A substantial mens ring that is Made to Order in any ring size which will take about 7 days to make before photos are emailed for your approval to ship. 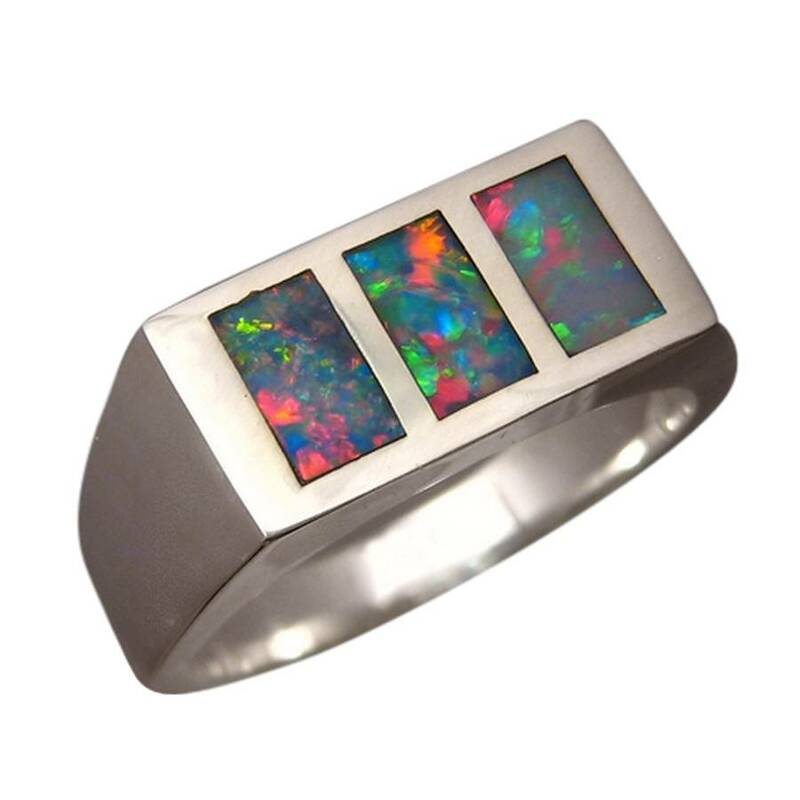 The ring can also be made with 5+ Multi Color Opals as shown in the last photo and the price will be shown when you choose this option. Sorry I'm so long getting back to you, but I wanted you to know, I love my ring! I'm really enjoying it - it's beautiful. Thank you so much for all your efforts.